Property consultancy Pennycuick Collins has been appointed to manage phase one of the new Beorma Quarter development in Digbeth. Funded by Kuwaiti-based property group Salhia Investments, the first phase completed earlier this year and comprised the wholesale renovation of the Grade II listed Digbeth Cold Storage building to create office space and an innovation centre. A 108-bedroom apart-hotel run by French chain Adagio also opened in August on the corner of Digbeth and Allison Street. Birmingham-based Pennycuick Collins has been appointed to deliver property management services and will be responsible for a range of services from rent and service charge collection to lease management and building maintenance. Richard Thorne, commercial property consultant at Pennycuick Collins, said: "The Beorma Quarter is a very exciting development for the city and, having been involved in it from the beginning, we&apos;re now really looking forward to seeing it take shape in the coming months. 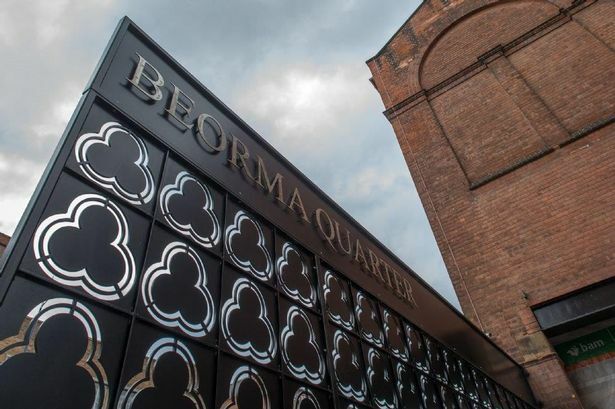 "Plans for the Beorma Quarter include Birmingham&apos;s tallest office building fronting on to the Bullring and Digbeth, close to the Wholesale Markets that is also scheduled for redevelopment. BAM Construction, which built the first phase of the Beorma Quarter, is also due to start demolition work in preparation for phases two and three which will contain office buildings, apartments and retail units. Salhia Investments plans to demolish and renovate existing buildings and erect three new towers on land bounded by Park Street and Digbeth next to Bullring Car Park. A 30-storey tower, directly opposite Selfridges, is set to become the third tallest building in Birmingham after the BT Tower and Radisson Blu hotel if built as proposed in phase two of the Beorma Quarter. Pennycuick Collins has been involved in the acquisition and interim management of buildings on the Beorma Quarter site and has been involved and retained ahead of the current development.